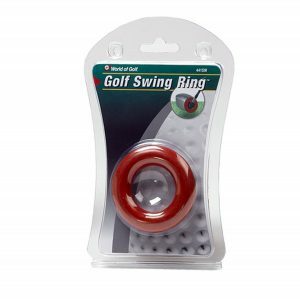 Jef World of Golf Swing Ring — A weighted swing ring is a must have for golfers on the go. How many times have you arrived at the golf course at the absolute last minute for your tee time? You have no real time to hit the range to get your swing grooved nor time to thoroughly warm up and stretch out your body. A weighted swing ring enables you to stretch out your back, shoulders and arms while waiting for your tee time. 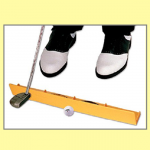 The swing ring is easy to slip over the shaft of your golf club for added weight during warm up. The added weight, while not heavy, is sufficient to stretch your back, shoulder and arms giving sufficient “swing pull” to increase range of motion and loosen tight muscles. While some folks suggest that a weighted swing ring can be used to increase swing speed, we find that its best use is for stretching and warming up prior to a round or at the beginning of a practice session on the range. We recommend that golfers should slide the ring onto a club and complete 15 – 20 rhythmic, full swings to loosen their bodies while maintaining good swing form. After using the swing ring, golfers feel that they have worked the “kinks” out and feel looser and more flexible. 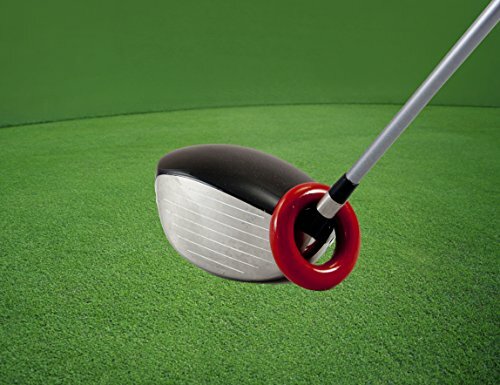 The swing ring can be used by any level golfer and on almost any iron, hybrid, wood or driver. Its vinyl coating will protect clubs from being scratched during warm up. 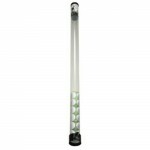 Given its compact size, the swing ring can easily be stored in a golf bag without adding excessive bulk or weight. See below to buy the Jef World of Golf Swing Ring!